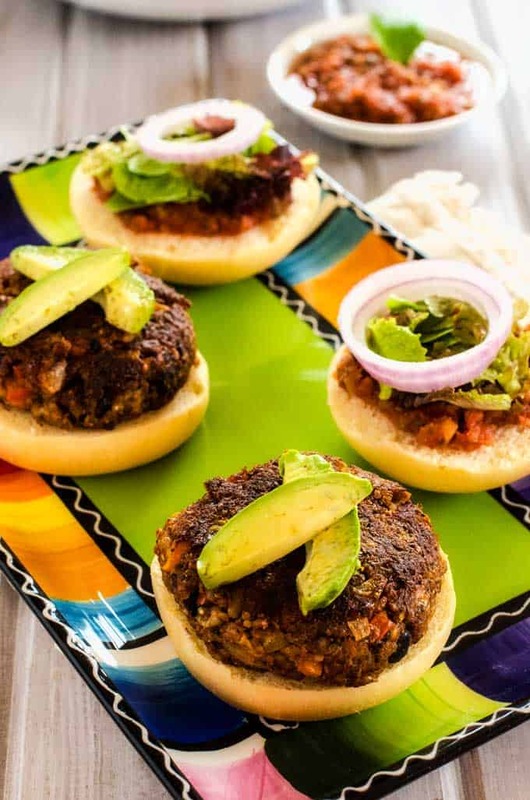 These Mexican Quinoa Burgers are the perfect solution to Meatless Monday. 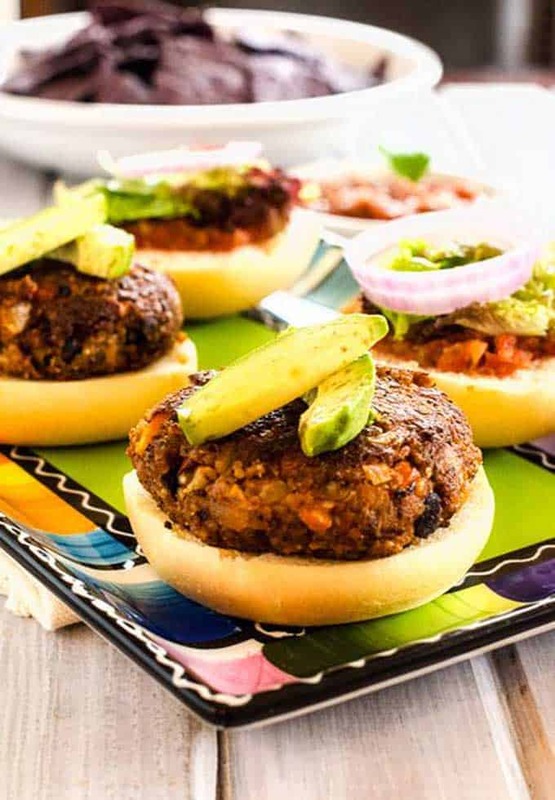 With just the right amount of a spicy and garlicky kick, these gluten free quinoa burgers are going to be one you make time and again! If you’ve been around here long, you know that once upon a time every third recipe I posted was a burger of some sorts. In the early days of Cooking Quinoa before I opened my eyes to all that could be done with quinoa, burgers or salads were the extent to which my creativity went. Once I started trying quinoa in different types of dishes and saw the potential, I did something I never thought I’d do – I stopped posting quinoa burgers. I may be wrong, but I think the last time I came out with a new one was over a year ago. And that may not be a good thing. I made these with gluten free breadcrumbs. For those of you who are gluten free and don’t want to spring for the boxed gluten free breadcrumbs (I don’t) you can easily make your own. Just take a few slices of gluten free bread and process them in a food processor until crumbs form. Add a few tablespoons of olive oil and process again. Heat a skillet to medium high and add the crumbs. (They should sizzle.) Cook for 5 to 6 minutes, stirring often. Reduce the heat to low and cook for another 8 minutes. I keep a bag in the freezer all the time! 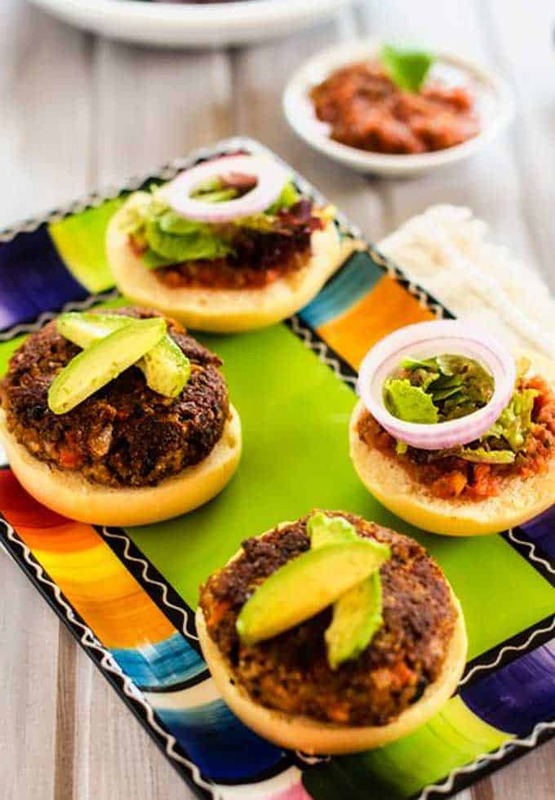 These Mexican Quinoa Burgers are the perfect solution to Meatless Monday. Gluten Free with a Vegan Option. Spray a medium pan with olive oil and heat to medium. Add onion and pepper and cook for 10 to 12 minutes, until tender. Add garlic and cook for one more minute. Remove from heat and place in a large bowl. In the bowl of a food processor, combine ¾ cup of the beans and ¾ cup of quinoa. Process until well blended. Add to the bowl with the onion mixture and stir in remaining beans and quinoa, cheese, taco seasoning, paprika and salsa. Mix until combined and add in (flax) eggs and breadcrumbs. Heat oil to medium and cook until browned, flipping once. I love quinoa burgers!! So healthy and full of protein. Normally when there is a vegetarian option that’s just as filling I try that out! 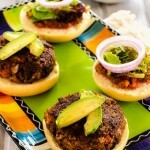 I haven’t cooked much with quinoa, but these burgers look just as good as the real thing. I may give them a try! Oh wow! My mouth is watering just looking at this! I just started using quinoa all the time, but I never thought about this! I am going to have to try these ASAP. It is so hard to find things that are gluten free and delicious! I love meat free options and these look awesome! This could be a great thing for me to take to lunch as well. Thanks for the info! Yum! These look amazing, and then you went and put that avocado on top and that won me over 100%! Thanks for yet another amazing recipe!!! This looks great. 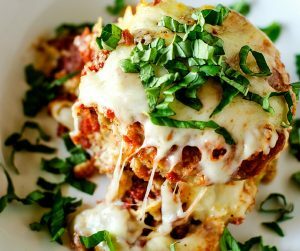 My husband and I are big fans of quinoa, so we will definitely be trying this in the future. 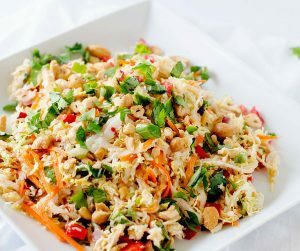 Healthy and delicious! Those look really good. I would love to make these. I love mexican food! oh my gosh YUM. I love quinoa and avocados and everything about this recipe. I never thought about making this before as a gluten free, but it’s a great idea for when my gluten free parents come to visit. These look amazing! I can’t wait to try them because we love all of these flavors. I’ve never made quinoa burgers, but you make it look SO delicious! I am loving the toppings on this one too. What a great alternative to beef!